Bitcoin prices slumped below $9,200 after nearing $10,000 over the weekend following criticism from some notable billionaires. Berkshire Hathaway CEO Warren Buffett called bitcoin "probably rat poison squared," Berkshire Chairman Charlie Munger said trading in cryptocurrencies is "just dementia," and Microsoft co-founder Bill Gates told CNBC that he would bet against bitcoin if he could. Speculation that the SEC and CFTC are meeting Monday could also be having a negative pull on prices. A man passes in front of a Bitcoin exchange shop. Bitcoin prices dropped Monday following criticism from some of the investment world's best-known billionaires. Berkshire Hathaway Chairman and CEOWarren Buffett piled on his recent bitcoin criticism Monday and told CNBC the "asset itself is creating nothing." "When you're buying nonproductive assets, all you're counting on is the next person is going to pay you more because they're even more excited about another next person coming along," he said on CNBC's "Squawk Box" from Omaha, following Berkshire's annual shareholder meeting. Over the weekend, Buffett had called bitcoin "probably rat poison squared," while Berkshire Chairman Charlie Munger said during the annual meeting that trading in cryptocurrencies is "just dementia." "As an asset class, you're not producing anything and so you shouldn't expect it to go up. It's kind of a pure 'greater fool theory' type of investment," Gates said. "I would short it if there was an easy way to do it." "I think that Buffett and Gates comments could be having an effect but I think the bigger factor at play today is regulatory," said Spencer Bogart, partner at Blockchain Capital. "Some market participants are concerned the SEC will issue negative commentary coming out of a hearing on Monday." Buffett’s love/hate relationship with Airlines. 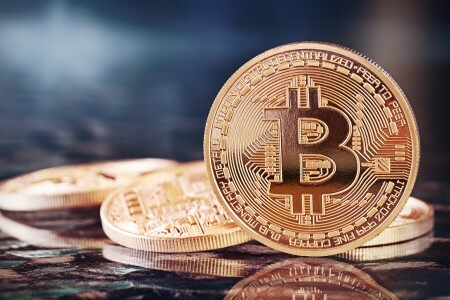 "While Bitcoin is not under direct scrutiny, the ramifications of this meeting could affect the entire global crypto market," said Joe DiPasquale, CEO of BitBull Capital. "The hesitation we are seeing right now could easily be broken and lead to a fresh rally, should a favorable tone be set by officials in attendance."